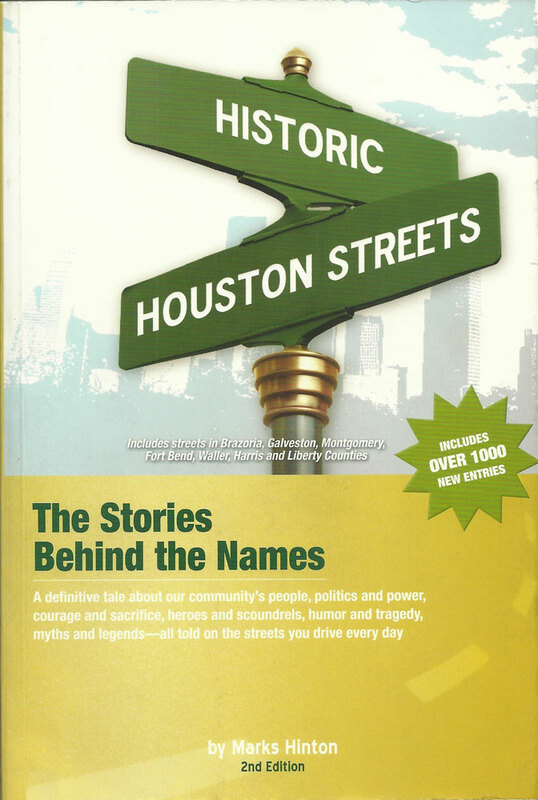 Historic Houston Streets: The Stories Behind the Names is a definitive tale about our community’s people, politics and power, courage and sacrifice, heroes and scoundrels, humor and tragedy, myths and legends – all told on the streets you drive every day. Allen Parkway: Our city’s laissez faire attitude has been part of our warp and woof from the beginning. In 1836 two New York real estate speculators, John Kirby Allen and his brother Augustus Chapman Allen, bought half a league of land on Buffalo Bayou, just north of the town of Harrisburg.. As the Bayou was deep enough for navigation, they laid out a town and named it after General Sam Houston. The rest is history and an interesting story it is. John died of disease just two years after the city’s founding. Augustus lived until 1864 when he passed away from Pneumonia. This beautiful parkway was called Buffalo Drive until its name was changed in 1961 to honor Houston’s Founding Fathers. Bellaire: In 1908 a Burlington Railroad executive named William W. Baldwin purchased 9,449 acres southwest of Houston and named it Westmoreland Farms. He called the town at its center Bellaire. The name was thought to come from a marketing brochue that stated “The town is Bellaire (fine air), for Westmoreland Farms is fanned day and night by the cooling breezes of the Gulf of Mexico.” A 1910 advertisement describes the Boulevard as “a fine double road of white shell” and “Houston’s most popular driveway.” However, it is more likely Baldwin named it for Bellaire, OH, a town served by his Chicago, Burlington & Quincy Railroad. Gulf Freeway: Referred to as a “concrete engineering marvel — the longest toll-free superhighway in the nation constructed since WWII,” this expressway was 16 years in planning and another 6 to build. However, many believe it has never been finisihed based upon the continual construction that has taken place over the last half century. W. J. Van London, engineering manager of Houston Urban Expressways, designed and supervised construction of the freeway. The original cost was $28,643,521. 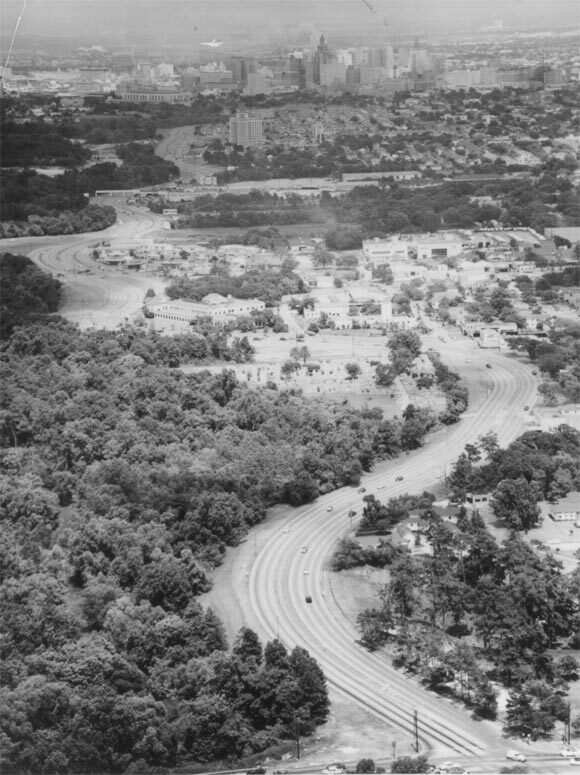 Initially called the “Superhighway,” the city held a contest to rename it and in December 1952 Miss Sara Yancey won $100 for her choice of Gulf Freeway. It officially opened August 2, 1952. Stella Link: Contrary to popular opinion, this Bellaire area street was not named for Mr. Link’s daughter. The street paralleled a railroad line that ran from Bellaire to Stella,Texas, a junction of the International-Great Northern and the Texas & New Orleans Railroads south of Houston. Ergo it was the link to Stella. Westheimer: Michael Louis — An immigrant from Germany, Westheimer came to Houston in 1859. He was quite an entrepreneur. Westheimer owned a flourmill, a livery stable on the corner of Milam and Congress, was a hay merchant and laid the city’s first streetcar tracks. At auction he bought a 640-acre farm for $2.50 an acre west of town where St. John’s School is today. He started a school on the prooperty for his 16 children as well as nieces and nephews who migrated from Germany. The shell lane that led to the schoolhouse became known as “the road to Westheimer’s place.’ Out of a family livery business came the Westheimer Transfer and Storage Company. They once owned the Westheimer Undertaking and Embalming Company. The family remains prominent in the city today.